The James R. Jordan Foundation's S.T.E.A.M. program provides educational opportunities through mentorship and collaborative learning communities. 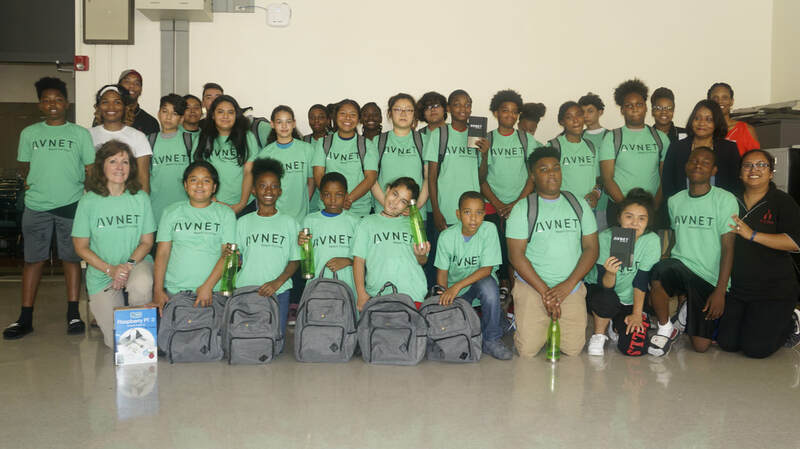 The program is designed to level the playing field for children of African American, Latino and persons of lower socioeconomic backgrounds and encourage them to participate in S.T.E.A.M. careers and social entrepreneurship. The year-long program engages students from 6th to 8th grade to utilize critical thinking and learn technological skills beyond the classroom. S.T.E.A.M. encourages studies to build on their skills and widen their professional possibilities, ultimately better preparing them for high school, college, careers and beyond. During the school year, students attend Saturday sessions and outings to learn a wide variety of skills and S.T.E.A.M. subjects. These subjects include but are not limited to: cyber security and its everyday applications, virtual reality, coding, art computation, and network and computer programming. In the summer months, students continue their education in a summer session while also gaining self-confidence, cultural awareness, and teamwork skills. Our objective is to help build the bridge to a successful career through education so students not only graduate but are able to successfully compete in the global economy. S.T.E.A.M. Saturday Sessions have begun! S.T.E.A.M. will begin in September 2017. Students will be re-introduced to the S.T.E.A.M. program and the basics of the curriculum. For the hands-on learning component, students will dismantle and reassemble laptops to learn how they are made and how they operate. Sherman School of Excellence student Symone (pictured right) participated in S.T.E.A.M. Summer Sessions 2015 and 2016. She also attended the IMSA Math Residential camp from July 24–July 29, 2016, and has been selected to participate in IMSA's PROMISE (Providing Opportunities for Mathematics Science Enrichment) Program. Through the PROMISE Program, Symone has continued her exposure to STEM experiences, which will prepare her for acceptance into high school as a freshman next fall.